Login To Manage Your Account! 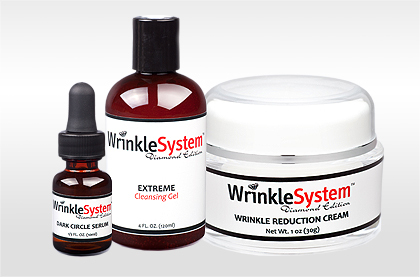 The 2-Minute Wrinkle Drill is a scientifically designed three product system that is specifically engineered to clean, protect, and actively fight wrinkles and dark circles under the eyes. 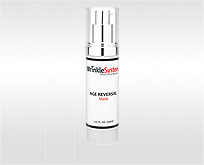 This system contains the Wrinkle Reduction Cream, Dark Circle Serum and the Extreme Cleansing Gel. The easy three step application process takes all but two minutes to fully and effectively complete. 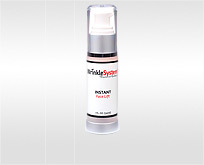 Results are proven by extensive clinical studies and are characterized by a dramatic reduction in wrinkles, an overall smoother and firmer skin complexion and a sharp decrease in dark circles and puffiness around the eyes. Wet your face with water; squeeze a few drops of the Extreme Cleansing Gel into the palm of your hand. 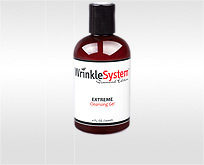 Work it into a lather on your face, rinse with lukewarm water and dry as desired. 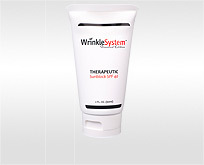 Administer the Wrinkle Reduction Cream sparingly to your entire face. 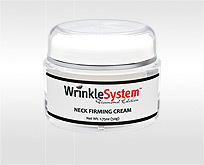 Gently massage into line prone areas until the cream is fully absorbed into the skin. You are now ready for the final step. 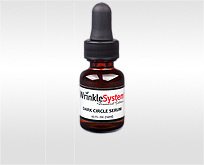 Apply a small amount of the Dark Circle Serum to your finger and gently tap into the area surrounding the orbital bone. 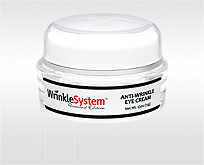 Congratulations, you have now completed The 2-Minute Wrinkle Drill�.